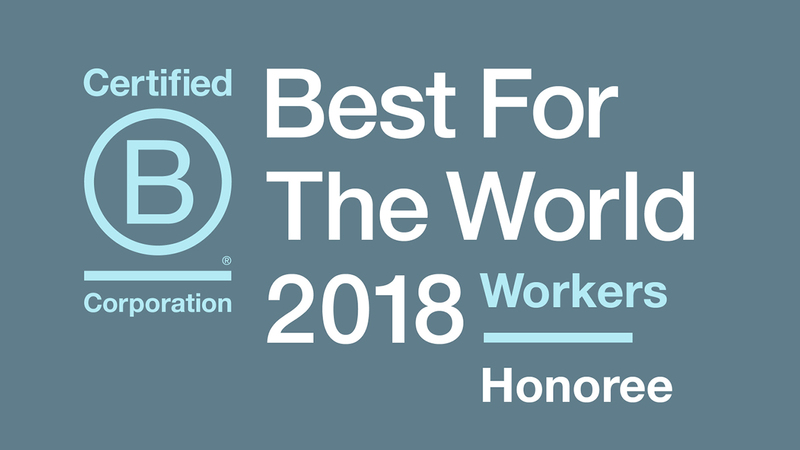 SAN FRANCISCO, CA, June 12, 2018 – For the second year in a row, Wetherby Asset Management has been recognized by the nonprofit B Lab as Best for the World for Workers, highlighting our ongoing efforts to build a values-aligned organization and demonstrating that business can be a force for good for all stakeholders, including our clients, our team and our community. Today there are more than 2,400 Certified B Corporations across more than 150 industries and 50 countries, unified by one common goal: to redefine success in business. To certify as B Corporations, companies must complete a full B Impact Assessment, which measures a company’s impact on its workers, community, customers and the environment. The Best for Workers list includes B Corps that earned a verified Workers score in the top 10 percent on the assessment. The 185 Best for Workers companies are featured at https://bthechange.com/2018-best-for-the-world-workers-honorees-e285649d2514. The Workers section of the B Impact Assessment assesses the company’s relationship with its workforce. It measures how the company treats its workers through compensation, benefits, training and ownership opportunities provided to workers. The category also focuses on the overall work environment within the company by assessing communication between management and worker, job flexibility, corporate culture, and worker health and safety practices. Wetherby scored highly in this category due to our commitment to gender and cultural diversity, continued professional development and employee ownership structure. We are excited to be a part of an inspiring community united in our choice to consider the impact of our organizational decisions on employees, clients, suppliers, our local community and the environment.